Springfield, MO. (February 21, 2017) - Everyone is welcome at the 8th annual African American Read-In at the Springfield Art Museum on Friday, February 24 from 7 to 8:30 PM. This collaborative evening of poignant and uplifting performances is organized by Missouri State University Libraries, Springfield Public Schools, the Springfield-Greene County Library District, Drury University, the Ozark Literacy Council, and the Springfield chapter of the NAACP. 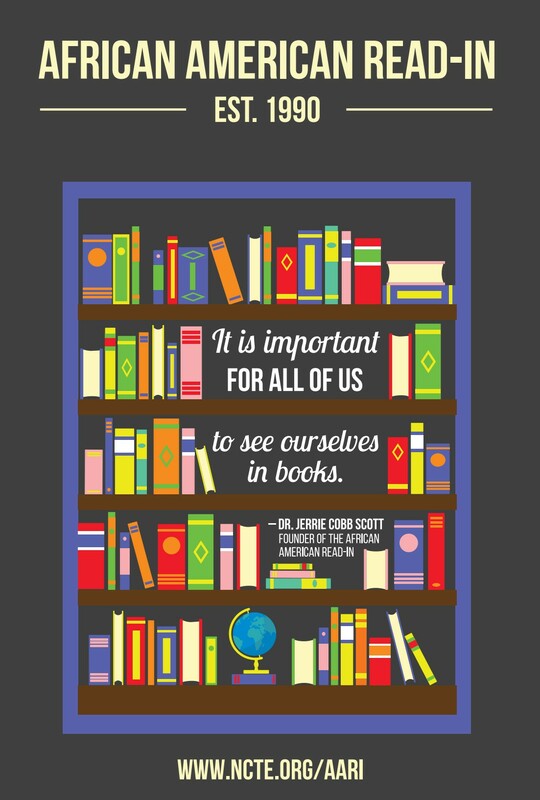 A national event created in 1990 by Dr. Jerrie Cobb Scott of the Black Caucus of the National Council of Teachers of English (NCTE), the African American Read-In promotes diversity in children’s literature, encourages young people to read, and shines a spotlight on African American authors. The Springfield-area event is the only one listed with the NCTE in Missouri that is not located in either St. Louis or Kansas City. Guests of the Read-In will enjoy refreshments, musical performances, dance routines, and spoken-word performances from Central High School, Missouri State University’s Untamed Tongues, and His Legacy Ministries, among many others. Also included will be a raffle of books by African American authors, movie passes, art classes, and tickets to the Black History Month Banquet. This event is free and open to the public. The Springfield Art Museum is located at 1111 E. Brookside Drive. The Springfield-area African American Read-In organizing committee is headed by Grace M. Jackson-Brown, Associate Professor of Library Science at Missouri State University. For more information, please contact gjackson-brown@missouristate.edu or (417) 836-4547. The Springfield Art Museum is Springfield, Missouri’s oldest cultural institution, founded in 1928. A department of the City of Springfield, we are dedicated to enhancing the education and documenting the cultural heritage of the people of southwest Missouri through the collection, preservation, and exhibition of art objects. For more information, please visit www.sgfmuseum.org. For more information, please contact Joshua Best, Development and Marketing Coordinator, (417) 874-2859 or jbest@springfieldmo.gov.